July 2014. Nonnative English Speaker Basic Skills Test Exemption "Effective July 1, 2014, nonnative English speakers are eligible for an exemption from taking the MTLE Basic Skills tests required for licensure in Minnesota if a school district/charter school verifies they meet the criteria of being a nonnative English speaker. Generally, a “nonnative” speaker is defined as an individual whose first language is not English." For more information on this exemption see the Minnesota Department of Education's licensing page. May 2014. The Omnibus Education Policy Bill (HF 2397 and SF 1889) was passed and on May 16 was signed into law by the governor. The bill (a pdf of the House version is here) includes a section in Article 3 (Education Excellence) directing the Board of Teaching to "adopt rules for initial teacher licensure that require individuals to pass a reading, writing, and math skills exam or attain an equivalent composite score on the ACT Plus Writing or the SAT." However, exemptions from this requirement are made for "non-native English speakers who meet the board’s content and pedagogy requirements and who provide direct instruction in their native language or world language instruction." January 2014. The Teacher Licensure Advisory Task Force releases its report with its recommendations for repealing the MTLE Basic Skills Test. MAIN supports this recommendation. Our position paper outlined our reason to support repeal of the law. September, 2013 to January, 2014. Teacher Licensure Advisory Task Force (authorized by the Minnesota legislature) holds meetings and hearings to determine fate of MTLE Basic Skills Test. Immersion educators testify before the task force. In December 2013 the task force votes overwhelmingly to recommend elimination of the test to the 2014 legislature. February 19, 2013. MAIN holds first-ever Immersion Day at the State. Schools send students to perform and conduct mock immersion classes. Educators and parents testify at committee meetings. November 9, 2012. MAIN members present at the annual fall congress of the Minnesota Association of Colleges of Teacher Education on the topic The MTLE Basic Skills Test: Experiences of Non-native Speakers of English. October 11 & 12, 2012. MAIN representative attends Board of Teaching meetings at MDE. Basic Skills test results and a discussion with Pearson testing are on the agenda. October 11, 2012. MAIN Parents meeting at Clear Springs Elementary School in Minnetonka. MAIN representative recommends that parents in all immersion schools invite state senators and representatives to visit their immersion schools. September 27, 2012. MAIN representatives are invited to a meeting of the MN Board of Teaching at MDE. All issues presented in the letter are discussed. August 27, 2012. Sent the July 31 letter to Education Commissioner Brenda Cassellius. July 31, 2012. A letter is sent to Dr. Rose Chu, Assistant Commissioner of Education, regarding MAIN's advocacy efforts for non-native English speaking language immersion teachers. 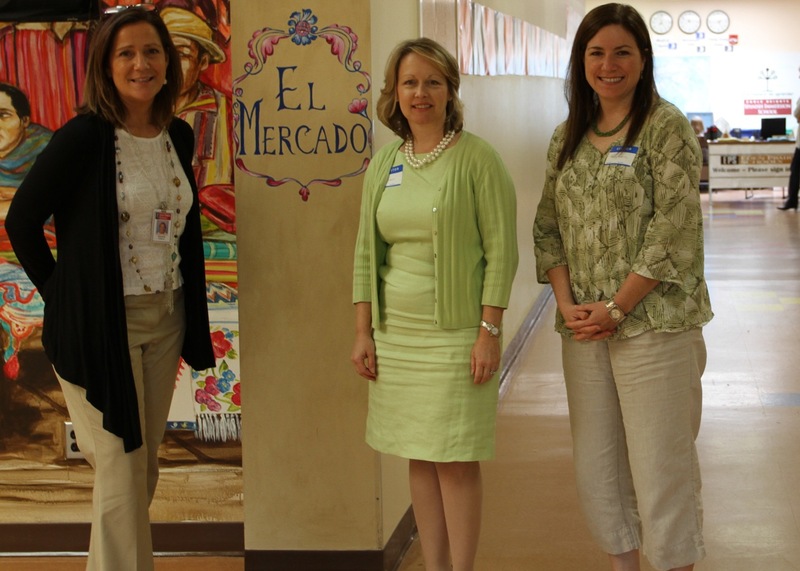 The letter is signed by Claudia Baldwin, Ed.S, MAIN Chair, members of the MAIN Board of Directors; Martha Abbott, Executive Director ACTFL; Dr. Patricia Hoffman, President MinneTESOL; Dr. Mary Thrond, President MCTLC; members of the MCTLC Board of Directors. Copied to the MAIN's Language Advocacy Committee; Karen Balmer, Executive Director, MN Board of Teaching; Ursula Lentz, World Languages Coordinator, MDE; Richard Wassen, Director of Licensing, MDE; Erin Doan, Alternative Assessment Specialist, MDE, MBOT. Request to discuss the possibility of a limited license for those bilingual candidates who want ONLY to teach in their native language in an immersion school. June 21, 2012. Meeting at MDE with Ursula Lentz, World Languages Coordinator and Richard Wassen, Director of Licensing. June 5, 2012. Advocacy committee members meet with State Senator Patricia Torres-Ray to discuss SF 2420. May 21, 2012. Letter to the Editor from Kimerly Miller, MAIN member, is published in the Saint Paul Pioneer Press. May 12, 2012. State Senator Jenifer Loon visits Eagle Heights Immersion School in Eden Prairie to discuss SF 2420. May 7, 2012. Meeting at MDE with Ursula Lentz, World Languages Coordinator and Richard Wassen, Director of Licensing. May 6, 2012. Kim Miller, Betsy Lueth and Claudia Baldwin meet with Dr.Tara Fortune to discuss advocacy issues. Dr. Fortune proposes to hold a symposium at the October CARLA Conference inviting legislators, educators and business leaders to discuss the importance of language skills in the future work of Minnesota. May-June, 2012. Forty-four teachers who have taken the Basic Skills test respond to a MAIN survey regarding their perception of the rigor of the test. April, 2012. An extension until the end of the 2012-13 school year is granted for teachers to pass the Basic Skills test before being given a Minnesota teaching license. April 1, 2012. Kim Mcguire from the Star Tribune contacts Claudia Baldwin regarding MAIN's response to the bill signed into law by Governor Mark Dayton. March 12, 2012. The American Council on the Teaching of Foreign Languages (ACTFL) holds a conference call with approximately 25 states. The purpose of the conference call is to form advocacy teams for language education in all states. The goal is to create a strong connection with your member of congress and advocate for language education. March 8, 2012. Immersion school administrators meet to discuss some of the unintended consequences of HF 183. Meeting at Ramsey County Library, Roseville. February 22, 2012. Governor Mark Dayton signs law HF 183 whereby teachers must pass a basic skills test of reading, writing, and mathematics in order to receive a Minnesota teaching license. January 27, 2012. Meeting at MDE where school administrators discuss alternative licensing with the Executive Director of the MN Board of Teaching, Karen Balmer.